A celebration in music and sound of the disappearing cries of street vendors past and present, and how these musical calls and sung street adverts influenced composers and artists. A celebration in music and sound of the disappearing cries of street vendors, past and present. The dispossessed and those with no other income were always able to cry their wares for sale in cities across Britain and Europe. By turning their presence into performance with their cries, they claimed the streets as their theatre - winning the lasting affections of generations of city dwellers and embodying the soul of cities in the popular imagination. Through time, the culture of city street cries became integral to the distinctive identity of many cities across Britain. Street Cry Goodbyes captures the startling musical essence of these human cries, along with a recreation of past cries long gone. It includes extracts from the work of earlier composers inspired by these sounds. Handel's opera Serse features the calls of a flower seller which he transcribed from contemporary street sounds. Thomas Ravenscroft cunningly interwove street calls into rounds in his Pammelia (1609) and Melismata (1611), while Orlando Gibbons in his madrigal The Cries Of London preserved the voices of vendors selling everything from haddock and walnuts to washing balls and frumenty. The satirist Jonathan Swift wrote the poem Women Market Cries as celebration of this enduring phenomenon. 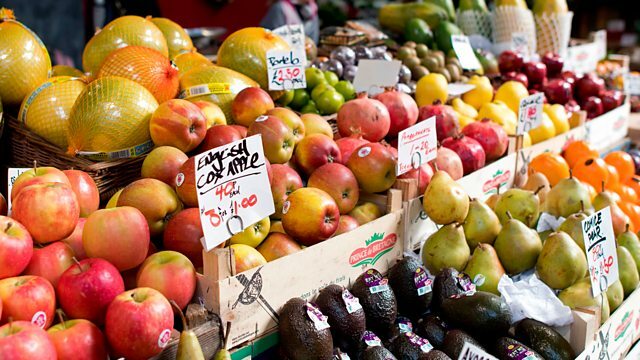 Every week in Britain, an open-air fruit and vegetable market closes. The advent of supermarkets and changing shopping habits mean the distinctive musical cries of the market vendor may soon be a thing of the past.